Hotel Information : Blue Palace Resort & Spa is a proud member of the Starwood Spa Collection, a premier ensemble of nearly 40 exclusive spas located around the world. The Elounda Spa and Thalassotherapy Centre was created out of our passion to combine the benefits of thalassotherapy, with the commitment to luxury and personal attention. Salt water and natural elements such as seaweed, thermal clay and plankton are some of the indispensable elements used in thalassotherapy. Modern applications enhance stress reduction, weight loss, cellulite reduction, muscles, joint healing and more. 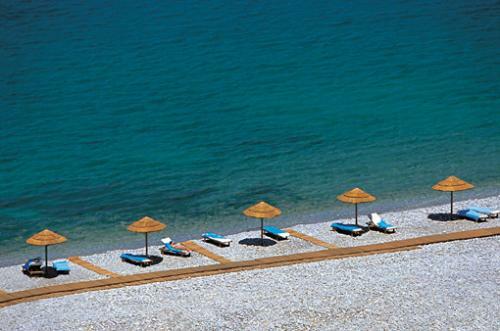 The sunny spa has at its centre a shimmering thalassotherapy pool that overlooks the sea. There are also many swimming pools such as freshwater and sea water outdoor swimming pools, 142 private infinity pools that seem to merge seamlessly with the sea as well as the 3 thalassotherapy pools in the spa. Our sublime customised treatments are designed to pamper, rejuvenate and complement the luxurious experience that characterises the main resort. 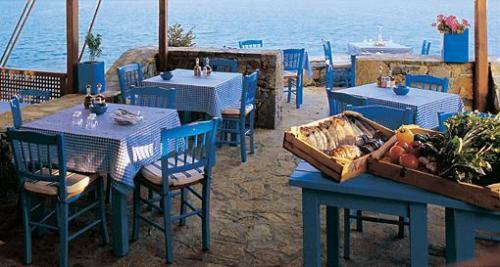 Food & Beverages : Dining at the blue Palace is taken very seriously. The resort’s executive chef and its culinary team are on-hand to create exquisite plates served in one of the five restaurants of the resort, including a gourmet venue and a beachfront tavern situated right at the water’s edge. 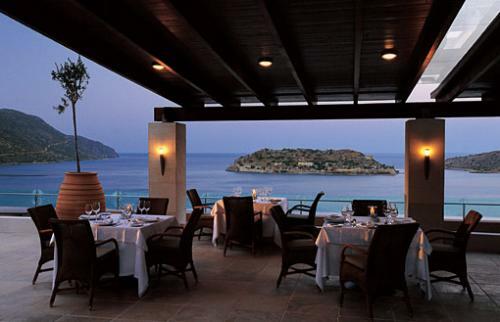 The dining experience is influence by Mediterranean cuisine combined with the finest Greek traditions and the purest ingredients sourced from the island, and is complemented by an impressive wine list. 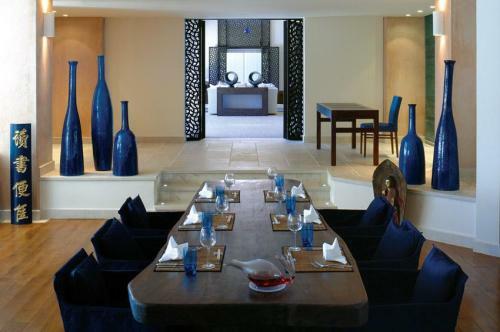 Our newest addition is Asia Blue, a beachfront restaurant offering superb fusion dishes. Exotic cocktails, drinks and light snacks are offered in one of the resort’s two bars, while the Juice Bar is ideal for healthy refreshments. Region Information : With an unparalleled location and breathtaking views, this resort is situated just 3 km from the village of Elounda and within a few hundred metres from the fishing village of Plaka, where life still moves along to the rhythm of another era. 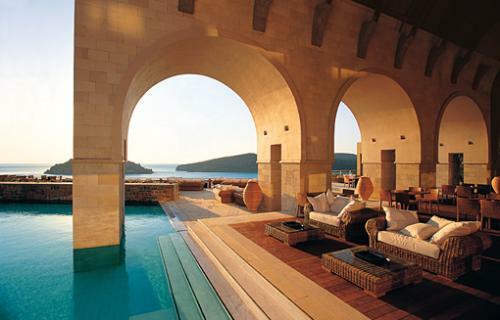 The resort overlooks the sparkling blue waters of the Mediterranean Sea and sits opposite the isle of Spinalonga with its medieval fortress. Spinalonga’s history dates back to the Venetians and Turks, the conquerors of Crete, and is now a unique historical attraction protected by the Greek Society of Byzantine Antiquities. Travel Information : From April to October direct charter flights are available from all major European cities to Heraklion international airport. British Airways offers a regular direct service between London Gatwick and Manchester to Heraklion. More than 10 scheduled flights run per day from Athens with either Olympic Airlines or Aegean Airlines offering good connections with international flights. There are ferry boat connections from Piraeus to Heraklion and Aghios Nikolaos. During the season, ferry boats and hydrofoils also run from other islands such as Mykonos and Santorini. A schedule is available in Spring. Short description : Our magnificent resort is a Mediterranean retreat of exceptional quality nestled on a cliff, housing luxurious accommodation, some with private pools, set in inspirational surroundings. Take pleasure in the dramatic views from your own personal bungalow, suite or villa, dive into the crystal clear blue waters of the Mediterranean or simply unwind with a specialised treatment in our state-of-the-art spa. 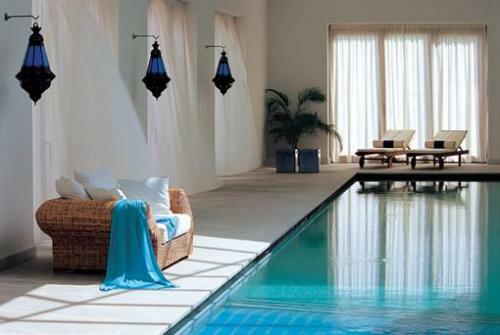 Apart from the private infinity pools there are also seawater and freshwater outdoor swimming pools. You will have the benefit of a variety of restaurants and bars which serve traditional, international and gourmet cuisine. Take advantage of the impeccable service which, combined with our celebrated Cretan hospitality, will make you feel right at home. Come stay in this sumptuous and lavish resort which provides exclusive services and amenities, a panoramic lift down to the beach and stunning views of the surrounding beautiful natural environment at every turn. 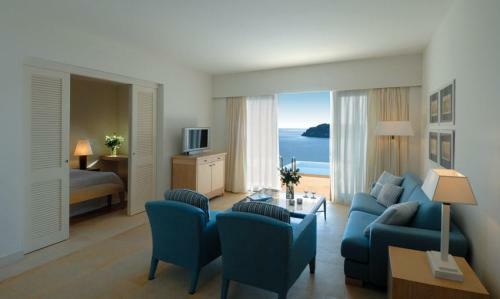 Important Information : The Elounda Spa & Thalassotherapy makes this beautiful resort exceptional. Situated right by the beach and extending over 2000 sq. meters, our spa is created to promote ultimate relaxation and calm. Our philosophy is to combine the seriousness and effectiveness of Thalassotherapy rituals and the calming and pampering approach of a world-class spa. With the help of our attentive and meticulously trained personnel and doctor, you can choose from our one to six day specialized programmes or from an extensive range of a la carte treatments. Cancelation Policy : Cancellation Policy: If cancelled up to 15 days before date of arrival, no fee will be charged. If cancelled or modified later, the first two nights will be charged. In case of no-show, the total price of the reservation will be charged. Children and Extra Bed Policy: All children are welcome. All children under 2 years stay free of charge for cots. 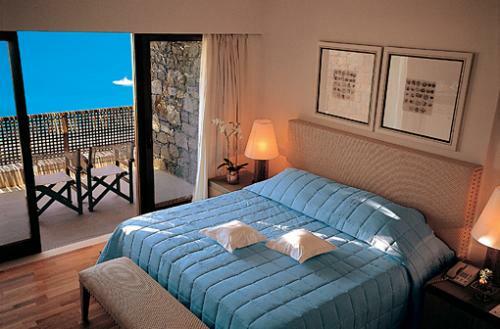 All children from 2 to 12 years are charged EUR 100.00 per night and person for extra beds. 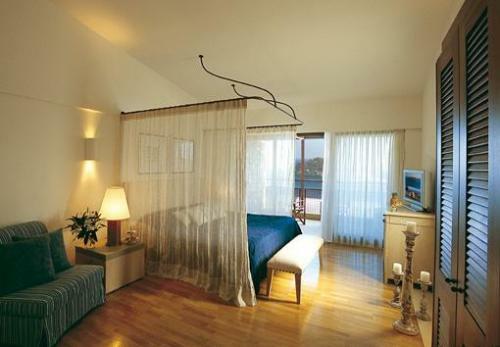 All older children or adults are charged EUR 150.00 per night and person for extra beds. Maximum capacity of total guests in a room is 3. Deposit Policy: 100 percent of the first two nights will be charged on the day of booking and is refundable. VAT and city/tourist taxes: VAT is included. Service charge is included. City/tourist tax is not applicable. Internet: Internet via modem is available in the entire hotel and charges are applicable. Meal Plan: Breakfast is included in the room rate. Parking: Free private parking is possible on site. Pets: Pets are not allowed. The hotel reserves the right to pre-authorise credit cards prior to arrival.